Home » Signs » Having an affair? 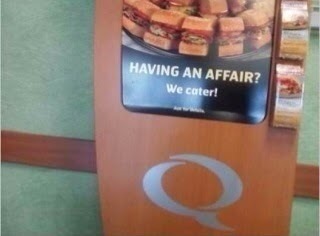 Quizno's will cater it. Having an affair? Quizno's will cater it. Nothing is more satisfying than a good sandwich after banging your mistress.